New auction records were set in the first Stack’s Bowers D. Brent Pogue Collection Auction. I encourage you to take a look at a couple of the highlights and what to look forward to in September’s auction. Hey Stella! Anyone Have Change for a $12? With apologies to Marlon Brando, and his iconic scene from A Streetcar Named Desire, we’ll take a look this week at another failed denomination, the $4.00 gold piece or "Stella." Unlike the twenty cent piece we discussed last time, this one never even made it out of the pattern stage. Because some 425 pieces were struck of the 1879 Flowing Hair type (for examination by congressmen) it sort of lives in limbo between a pattern and a regular issue. 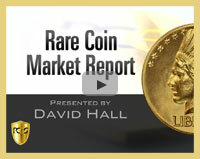 At the onset of the 20th century were efforts to bring modern, beautiful designs to U.S. coinage. The Mint used celebrated sculptors of the day to create incredibly appealing works of art. The 1916 Walking Liberty Half Dollar design is arguably the most beautiful of all silver circulating coinage, born in a progressive era where Art Nouveau was a liberating artistic trend in stark contrast to the expanding World War. Which 19th century obsolete coinage has the most interesting history? This piece is universally known as the finest 1886-O in existence. 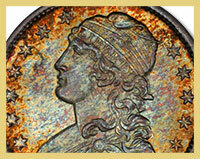 It is graded PCGS MS65+ from the Coronet Collection, one of the all-time greatest Morgan Dollar sets ever assembled. 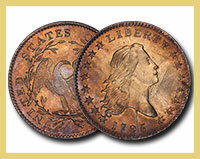 Explore Capped Bust Quarters 1831-1836 Circulation Strikes from one of the greatest collections of all time. 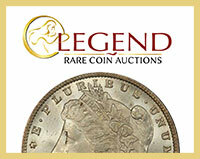 Avoid the worst mistake that you can make in numismatics. Knowledge is everything when it comes to getting the most out of collecting coins.